Your credit card should pay you. If you want to earn cash back from every dollar you spend, the best option is Costco Anywhere Visa® Card by Citi. This card does not have complicated rotating categories. Instead, it offers compelling cash back on everyday purchases all year. Get 4% cash back on eligible gas purchases worldwide up to $7,000 in purchases per year, 1% after. Get 3% cash back on restaurant and eligible travel purchases. Get 2% cash back at Costco and Costco.com. And earn 1% cash back on all other purchases. As a bonus, get 0% APR for the first 7 months after opening a new account. This card is loaded with cash back opportunities. It has no annual fee with a paid Costco membership. This card offers compelling cash back, but is designed for Costco members. If you don’t live anywhere near a Costco, it may not be the best option. Also be aware that not all gas and restaurant purchases count for bonus points. For example, gas stations at a supermarket or super store like Safeway or Walmart are treated as retail purchases, not gas purchases. After the introductory period, this card has 17.49% Variable APR. If you don’t want to worry about complicated rotating categories or travel rewards programs and just want to earn solid cash back where you spend the most money, this is the best card on the market. With cash back up to 4%, this card is a real winner. Whether you are a loyal Costco shopper or are considering it, this is the best card for cash back today. If you have less than perfect credit, it’s difficult to find a good rewards credit card. Most will have mediocre earnings potential. However, that’s not the case with the Capital One® QuicksilverOne® Cash Rewards Credit Card. With this card, you will earn 1.5% cash back on every purchase that you make. There is no limit to the amount of cash back you can earn. Plus, you will not need to keep track of rotating bonus categories like other cards require. Depending on your credit score, you might have a fairly low credit line when you first get this card. Once you make your first five month payments on time, Capital One will increase your credit line. This can quickly have positive effects on your credit score. 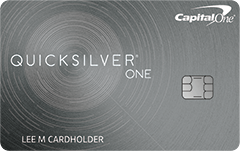 The Capital One® QuicksilverOne® Cash Rewards Credit Card does come with a $39 annual fee, but this is very low for a rewards credit card. The big thing to be aware of is that the card has a variable purchase APR of 26.96%. This is incredibly high, which means it’s extremely important to pay your balance in full each month. This will help you avoid any interest charges. If you don’t have perfect credit, the Capital One® QuicksilverOne® Cash Rewards Credit Card is a great rewards credit card to choose. You will earn a generous cash back rate and you will be given the tools to build your credit score. This will help you move into an even better product in the future. Bank of America® checking or savings account holders who are Preferred Rewards clients should take serious notice of the Bank of America® Cash Rewards credit card, as they could receive a 25%-75% bonus when they redeem their cash back directly to their account. However, the basis for those rewards will come in the form of 3% cash back in one selected category and 2% cash back at grocery stores and wholesale clubs, though that’s limited to a combined $2,500 in purchases between grocery/ wholesale club/ and the one category of choice. Everything else you spend on will result in unlimited 1% cash back. You can boost your early returns with a $150 cash sign-up bonus by spending $500 during your first three months as a cardholder. Extra fees and costs are kept extremely low too, as you’ll be offered a 0% introductory APR for 12 billing cycles on both purchases and balance transfers made within 60 days of your account’s opening. There’s no annual fee to remain a cardholder either. The $2,500 combined purchase stipulation that applies to the 3% and 2% cash back rates is a bit disappointing, as it severely limits the bonus rewards you could earn. 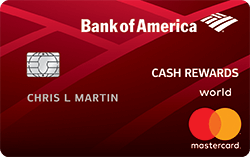 The penalty APR is up to 29.99% variable with the Bank of America® Cash Rewards credit card. Overall, the Bank of America® Cash Rewards credit card will offer you sizeable cash back returns for your everyday purchases, supplemented with low fees and interest rates, as well. There are no hoops to jump through to earn cash back with the Capital One® Quicksilver® Cash Rewards Credit Card. You’ll earn 1.5% unlimited cash back on every purchase you make. You can also earn a $150 sign-up bonus if you spend $500 during your first three months as a cardholder. A 15 month, 0% introductory APR on both purchases and balance transfers, combined with the above cash back offers, gives you the chance to squeeze tons of benefit out of this card within your first year with it. Don’t worry about being on the hook for an annual membership fee, as that’s one less thing taking a bite out of your cash back. Feel free to travel abroad and continue to use your card, as you won’t be charged a fee for swiping your plastic while out of the country. Even with all these benefits packed into the Capital One® Quicksilver® Cash Rewards Credit Card, it does lack bonus cash back categories. Obviously you can earn quite a bit with just the 1.5% rate, but some other options out there will give you more for spending on specific things. Because most cash back cards are seen by their parent companies as solely for rewards, it’s rare to come across one that has no foreign transaction fee like the Capital One® Quicksilver® Cash Rewards Credit Card does. That featured perk, on top of what most other cash back cards offer as well, makes this card a prime choice for cash back fans. 0% intro APR on purchases for 15 months; 16.24%-26.24% variable APR after that. 0% intro APR on balance transfers for 15 months; 16.24%-26.24% variable APR after that; 3% fee on the amounts transferred within the first 15 months. Keeping track of rotating categories and travel rewards programs can be a lot of work. If you just want to keep it simple and earn a flat 2% cash back everywhere you shop, Citi® Double Cash Card is your answer. Get 1% cash back on every purchase you make and an additional 1% when you pay your bill. That is essentially 2% cash back on every purchase you make! This card has no annual fee. After a 0% APR introductory period, this card has interest rates between 15.74% - 25.74% Variable. If you carry a balance month-to-month, interest charges will likely outweigh the cash back benefit. The card charges 3% for balance transfers or $5, whichever is greater. There is also a 3% foreign transaction fee, so the card is not free to use when traveling abroad. If you just want simple, flat-rate cash back, this is the best card available today. Few cards offer such compelling cash back rewards, particularly with no annual fee. The card also waives your first late fee, which is a benefit if you struggle with staying on top of your bills. This is a card that just works. If you want 2% cash back on every purchase, this card is a winner. The Chase Freedom Unlimited® is a solid cash back credit card option, offering prospective cardholders 1.5% cash back on every purchase they make. Additionally if you spend $500 during your first three months as a cardholder, you’ll earn a $150 cash bonus. The rewards you earn won’t expire and there’s no minimum amount to redeem them as a statement credit, direct deposit to a U.S. savings or checking account, gift card or Amazon.com account credit. There’s also no annual membership fee and your first 0% months include the major perk of a 0% introductory APR on both purchases and balance transfers. However, you could receive a variable APR of 17.24% - 25.99% Variable following that initial period. A hassle-free 1.5% cash back rate will be the rewards base for your Wells Fargo Cash Wise Visa® Card. You’ll be able to easily expand your initial rewards by earning a $200 cash bonus for spending $1,000 during your first three months as a cardholder. Plus you’ll earn bonus rewards by shopping through Wells Fargo’s Earn More Mall®. As long as you keep your account open and active, the cash back you earn won’t expire, so save it up for when you really need. Purchases and balance transfers both receive an introductory offer of a 0% APR for 12 months, as well as no annual fee or penalty APR. Methodology SmartAsset has developed a quantitative and independent system for evaluating the relative value of a credit card offer versus other offers in the marketplace. Our system evaluates cards based exclusively on their features, such as their rewards earning rate (if applicable), fees, perks, and rewards program redemption options. The annual rewards values on this page are calculated using annual spending assumptions in various categories such as, but not limited to, gas, restaurants, airfare, and US supermarkets. These spending assumptions are built on research that SmartAsset has conducted on existing cash back credit cardholders. Our promise with our credit card recommendations is that we will always strive to have the most comprehensive, accurate, and objective method of evaluating credit card offers. Any recommendations are solely determined by the result of this research and model, and is never influenced by any fees, commissions, or other forms of compensation that SmartAsset may receive from credit card issuers for leads generated on our website. Rewards cards offer consumers incentives for using their credit cards to make purchases. A credit card company may give cardholders the chance to earn points or miles that they can use to book flights or pay for travel-related expenses. Or it may reward cardholders with cash back. That means you can get paid just for shopping with a credit card. With a cash back credit card, a small percentage of what you spend is returned to you in the form of cash rewards, points or statement credits. The more you use your cash back credit card, the more rewards you’ll earn. Looking for the best cash back credit card for your lifestyle? Read on to learn about the kinds of cash back credit cards that are available to consumers and what to consider before applying for a card. There are three kinds of cash back cards that vary in terms of the way they provide rewards: bonus category credit cards, flat-rate cash back credit cards and tiered cash back credit cards. Bonus category credit cards have higher rewards rates that apply to categories that rotate on a regular basis (usually quarterly). Flat rates apply to all other types of purchases. One month, you may get 4% cash back on the products you buy at the grocery store and 1% cash back on everything else. A few months later, you may earn 4% cash back on travel expenses and 1% on top of other regular credit card transactions. With a tiered cash back credit card, you’ll always have a higher rewards rate when you spend money on certain items. For instance, you may earn 3% cash back whenever you spend money at restaurants and 1% cash back on all other standard purchases. Gas cards often fall under the category of tiered cash back cards. They tend to offer more cash back when consumers buy gas (and pay for auto repairs in some cases). A third type of cash back credit card is a card with a flat rewards structure. You’ll earn the same percentage of cash back regardless of what you spend your money on. For example, a credit card may give you 1% cash back on every purchase you make. Co-branded credit cards may vary in terms of the way they offer rewards. These credit cards have more than one sponsor, such as a grocery store and a credit card company (like Visa or Mastercard). Quite a few co-branded credit cards have a tiered rewards structure with a higher cash back percentage for spending in specific categories. Rewards you earn with a cash back credit card may be redeemed in multiple ways. Many credit card companies will send you a check for the rewards you’ve earned or deposit your rewards into your bank account. Checks may be disbursed annually or whenever your rewards balance reaches a certain threshold. Or you may be able to cash out at any time. Some cash back credit cards provide cash back that can only be exchanged for statement credits. These credits will appear on your credit card statement. You can use them to pay off outstanding balances in your credit card account. Once you earn enough cash back rewards, your credit card issuer may allow you to trade them in for points that you can redeem for prepaid gift cards, statement credits, merchandise and travel. If you do your research, you may find credit card companies that let you decide how you’ll receive your rewards. If you find yourself in that situation, you could ask to receive your cash back as gift cards during the holiday season and have your rewards deposited into your account during other times of the year. There are many reasons why you should consider applying for a cash back credit card. When it comes to redeeming rewards, cash back cards offer more flexibility than credit cards that provide airline miles or points. You could use the cash rewards you earn to knock out debt and meet other financial goals. You could even use your cash rewards to pay for travel expenses that you might not be able to cover using the rewards from a travel credit card. Another great thing about cash back credit cards is the fact that there are usually no surprises. Unless you have a credit card with rotating bonus categories, rewards rates are usually fixed. You’ll never have to worry about your rewards losing value. And in most cases, they won’t expire as long as your account remains active and is in good standing. That’s not necessarily the case with rewards credit cards that let you earn points or airline miles. If you qualify for one of the best cash back credit cards, you could earn as much as 5% or 6% back for purchases within certain categories. You may earn as much as 20% cash back by purchasing products sold by certain stores (especially retailers in online bonus malls). Sometimes credit card companies raise their rewards rate over time, offering cardholders a higher cash back percentage. Not all cash back credit cards come with a sign-up bonus. But some of the ones that do will match the cash back you earn within your first year, dollar for dollar. And some cards have a bonus cash back rewards rate (like 10% cash back) that they apply when your account is active for a certain number of consecutive months. Other cash back credit cards hand out hundreds of dollars in bonus cash rewards when you spend a certain amount of money within three months of opening an account. Saving money can be easy when you have a cash back credit card. If you can redeem the rewards you earn for a statement credit, you can use it to pay off your credit card balance. Then the funds that you would normally use to make credit card payments could cover other bills (or go into a savings account). Barely managed to sock away any money for retirement? You could use a cash back credit card to boost your savings. 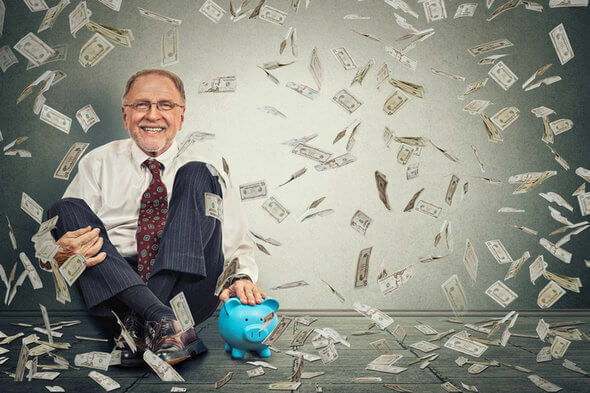 Every so often (or whenever your credit card company lets you cash out), you could transfer the cash you’ve earned to a traditional or Roth individual retirement account (IRA). Or you could stick your credit card rewards into an investment account with a decent return rate. You could also use your cash rewards to lower your tax bill. If you’re itemizing your deductions and you need an extra tax break, you can donate your rewards to a qualifying charity. With many rewards programs, you can make a quick donation online. Your rewards will be deductible in the tax year that you make a contribution. So a donation you make in the middle of December will count toward your tax bill for that year (even if you don’t pay your credit card bill until January of the following tax year). Don’t forget to find out what’s considered a charitable organization in the eyes of the IRS. Contributions made to private foundations and foreign groups, for example, cannot be deducted when filing income taxes. If your credit card company lets you redeem your cash back credit card rewards for prepaid gift cards, you could save money on gifts for your friends and family members. Some companies let cardholders redeem their cash back rewards for points. So you may be able to use those points to save money on all sorts of items, including plane tickets. In other words, you may not need to have a travel rewards card in order to cut costs while traveling. Finally, cash back could save you money on the purchases you make daily. As your rewards add up, you could use the cash you earn to pay for your morning coffee, the snacks for your kids’ lunches or your weekend rendezvous. With a cash back credit card, you can get your finances on track and make room in your budget for splurging. But some of these rewards cards come with high annual fees. And many cash back credit cards have higher interest rates than traditional credit cards. If you carry a balance every month or make late payments every once in a while, the fees you have to pay could surpass the number of rewards you earn. Some credit card issuers place a cap on the amount of cash back you can earn. For example, you may only be able to earn cash back on top of the first $1,500 you spend within a quarter. Or your credit card company may say that you can’t earn any more cash back once you spend $6,000 within a year. Credit card companies may also limit the amount of cash back you can earn within certain spending categories. For example, if your card issuer gives you 4% cash back on gas and 1% cash back on all other purchases, you may only be able to earn cash back for the first $1,000 you spend at the gas station each quarter. Cash back rewards rates usually aren’t that high. In most cases, you’ll only be able to earn around 1% to 2% cash back. This means that if you’re allowed to earn 1% cash back on the first $5,000 you spend in a year, you’ll only earn $50 in cash back rewards. If you have to spend more than $50 on fees and interest charges, having that cash back credit card wouldn’t be worth it. What’s more, you probably won’t be able to earn cash back with all of your credit card transactions. Credit card balance transfers, for example, may be exempt from a credit card’s cash back offer. Using a cash back credit card that only lets you redeem points for statement credits can be particularly frustrating. These kinds of cards essentially force you to keep using your credit card in order to earn rewards. If you decide to switch to another card, your credit card company probably won’t be able to send you a check for the credits you haven’t used. There’s another downside to using cash back cards that offer statement credits: The credits usually can’t be used to make a minimum credit card payment. So you’ll probably still have to make room in your budget for credit card payments even if you have hundreds of dollars in statement credits. Another thing to keep in mind is that if you spend money just to earn cash back, you could land in hot water. In your attempt to earn as many rewards as possible, you could overspend and end up with too much debt. Applying for a cash back credit card can affect your credit score in several different ways. A credit card issuer will have to check your credit report before approving you for new credit. That move is known as a hard inquiry. It will likely lower your score by a degree. But your credit shouldn’t take a long time to recover. According to the FICO scoring model - which is widely used among lenders - 10% of your credit score depends on recent credit inquiries and the number of new credit accounts you have (among other things). Adding a single new credit account to the mix should barely affect your credit score. Submitting applications for a series of credit card accounts within a few weeks or months, however, could have an adverse effect on your credit. Even if your credit score is on the higher end of the spectrum, a credit card issuer may reject your application if you have too many recent inquiries. FICO credit scores depend on the number of hard inquiries you’ve had within the past 12 months. Having a new credit account will also reduce the average age of all of your credit accounts. The length of your credit history accounts for 15% of your FICO credit score. The upside to having new credit is that it’ll increase your total credit line and improve your credit utilization ratio (or the amount of credit you’ve used in relation to the individual credit limit on each card and your total credit limit across all of your credit cards). If you manage to qualify for a cash back credit card, your own actions will determine what happens to your credit score. If you come close to exceeding your credit limit every month and you constantly make late credit card payments, your credit score could take a hit. But meeting all of you credit card deadlines and keeping your credit utilization ratio below 30% can raise your credit score. Your credit utilization ratio and the amount of debt you’re carrying account for 30% of your FICO score. Under the same scoring model, 35% of your credit score depends on your payment history. Avoiding the temptation to spend more money than you should can be tricky when you have a cash back rewards card. But keeping your long-term financial goals in mind may help you keep your credit card spending under control. Who Should Apply for a Cash Back Credit Card? Cash back credit cards are usually a good match for cardholders with good financial habits. In order to take full advantage of your rewards, you’ll need to consistently pay off your entire credit card balance. If you only pay the minimum every month - or you can’t pay your credit card bill in full because you have a lot of debt and other financial obligations - you may need a different kind of credit card. 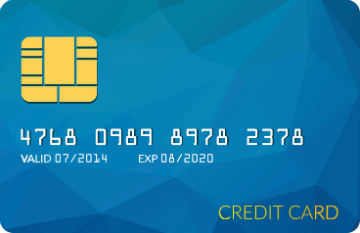 A card with a low interest rate, for example, or a balance transfer credit card could be more useful. Keep in mind that the interest rates attached to cash back credit cards are usually higher than the ones attached to standard credit cards. Therefore, cash back credit cards tend to be best for folks who have room in their budget for extra charges. You’ll also need to be willing to spend enough money to get cash back. If you’re only planning to use a cash back credit card for emergencies, the total amount of fees you pay may be higher than the amount of rewards you earn. 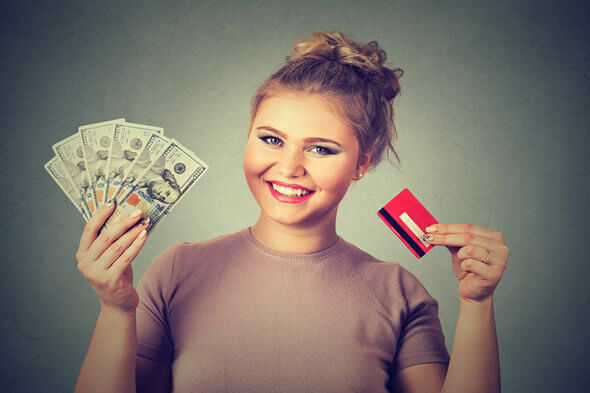 Like other kinds of credit accounts, the best cash back credit cards with the best rates are generally available to the most creditworthy consumers. If your credit score isn’t too hot, you could work on raising your score before applying for a cash back credit card. Don’t rule out applying for rewards credit cards that offer miles or points. If you spend thousands of dollars on travel every year, you might be better off with a travel credit card. But if you don’t travel that often and you want to be able to use your rewards for just about anything under the sun, you’ll probably like having a cash back credit card. Bottom line: If you regularly use a credit card, you have little to no debt and you want more freedom when you’re ready to redeem your rewards, a cash back credit card could be the perfect rewards card for you. If you’ve decided that getting a cash back credit card makes sense, you’ll need to do your research and pick a card. The best cash back credit cards have high rewards rates and make it easy to earn cash back on items you buy every day. After all, there’s no point in having a cash back credit card that makes it difficult to redeem your rewards. 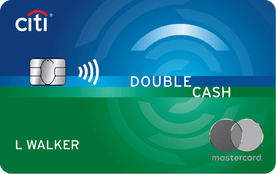 Great cash back credit cards let you trade in the points you earn for statement credits, actual cash rewards and points that you can apply to purchases through an online bonus mall. There are some simple steps you’ll need to take if you’re trying to pick the right card. For one thing, you’ll need to think about the kind of credit card you need. The best cash back card for you may not be the best card for your significant other or your friend. Knowing that you want a flat-rate cash back card rather than a card with rotating bonus categories should narrow your list of options substantially. You’ll also need to check your credit. Your score will affect your odds of getting approved for a credit card. If your score isn’t high enough, your credit card application could be denied. Applying for multiple credit cards that you don’t think you can qualify for (based on your credit score) could be a risky move. It’s important to consider the fees you’ll have to pay as well. Since some cash back cards have annual fees, it’s best to look for a low-fee credit card. And if you know you’re going to carry a balance at some point, it’s a good idea to find a cash back card with a low interest rate. But unless you have a good credit score, that may be challenging. As of April 2017, the average annual percentage rate for a cash back credit card is 15.77%. That’s slightly higher than the average interest rate for credit cards nationwide (15.72%). Since the rewards rate on most cash back credit cards is low, hunting for a credit card with a sign-up bonus is a good idea. But you’ll want to look for a card that doesn’t require you to spend a lot of money in order to earn bonus rewards. Having to spend $500 within three months is more reasonable than having to spend $1,000 in order to get extra cash rewards. As you can see, there are many factors to take into account before signing up for a card. But some of them are more important than others. One of the first things you’ll need to think about before choosing a cash back credit card is the rewards rate (or the earn rate). That’s the amount of cash back you’ll earn with every dollar you spend. A credit card with a 1.5% cash back offer should be more appealing than a card with a 1% cash back offer. You’ll also need to pay attention to whether there’s a limit to the amount of cash back you can earn. Some of the best cash back credit cards let consumers earn an unlimited amount of rewards. The way you spend your money is something else to consider before applying for a cash back credit card. If you’re dropping hundreds of dollars on groceries each month, getting a credit card that gives you cash back for shopping at the supermarket probably makes sense. Before you choose a card, however, just make sure your favorite retailer is on the credit card company’s list of approved merchants. The costs associated with carrying a particular credit card should also matter. If you travel frequently, you run the risk of having to pay foreign transaction fees. And at some point, you may slip up and have to pay a late payment fee. Choosing a card with high fees doesn’t make sense for a lot of people. But in some situations, the rewards can make the fees an easier burden to bear. For example, if your annual fee is $50 and you expect to earn more than $50 in cash back each year, the fee may be worth paying. Another way to evaluate cash back credit card offers is to examine the value of the rewards you’ll be earning. Let’s take a closer look at what to do when comparing the rewards rates for different cash back rewards cards. Calculating the value of cash back rewards is a two-step process. The first step involves calculating the earn rate. Again, this is how much cash back you can expect to receive on top of each dollar you spend with your credit card. Ideally, you’ll want the credit card with the highest cash back percentage tied to the purchases you spend the most money on. Let’s check out an example. Let’s say that Card A gives you a flat rate of 1.5% cash back on all purchases. Card B gives you 3% cash back on department store purchases and 1% cash back on everything else. If you spend a large percentage of your paycheck on shoes, clothing and other items that you purchase at a department store, you might as well apply for Card B. But if your spending across multiple categories is fairly even and you rarely shop at department stores, you might be perfectly fine with Card A. The second step in assessing the value of a cash back credit card’s rewards is calculating the redemption rate. That’s the monetary value of a single cash back reward. Figuring out the redemption rate for cash back rewards simply involves taking the earn rate and dividing that amount by 100. If your cash back rewards card’s earn rate is 2%, you’ll earn 2 cents for every dollar you spend. If the rewards rate is 5%, you’ll earn 5 cents for every dollar you spend. The higher the rewards rate and the redemption rate, the higher the value of your cash back rewards. Cash in the form of a check or statement credit may not be the only reward you can earn when you use a cash back credit card. Both standard and rewards credit cards come with various perks, such as free credit scores, roadside assistance, return protection and price matching. Calculating the value of these rewards could also be a good idea. Thinking about how much money those benefits could save could be helpful if you’re not sure whether you should choose one cash back card over another. For example, getting a car towed could cost you more than $100. If a rewards credit card offers this service at a discount, applying for it may be worth considering. Which Type of Cash Back Credit Card Should You Choose? Having trouble picking a cash back credit card to apply for? Remember that cash back cards fall under three major categories: bonus category cards, flat-rate rewards cards and tiered cash back credit cards. Having a cash back credit card with rotating bonus categories may not work for everyone. To make the most of it, you’d have to keep track of which purchases will give you more cash back during certain months. And with these types of cash back credit cards, you often have to opt in to take advantage of the new spending category with the higher rewards rate. If you’re looking for a simple rewards card, you may want to pick a flat-rate cash back card instead. On the flip side, if you don’t mind putting in more effort in order to earn rewards, you could benefit from having a bonus category cash back card or a card with a tiered rewards structure. A tiered rewards credit card could give you more cash rewards than a flat-rate cash back credit card, particularly if the category with the highest rewards rate is the one you tend to spend the most money on. If you spend a lot of money on a few different types of purchases, you may want a bonus category card instead. If you’ve found the best cash back credit card for your wallet, you can go ahead and sign up for it. Submitting an online application is normally the fastest way to get approved for a credit card, particularly if you choose a card that you can be instantly approved for. But if you’re in no rush to find out whether you qualify for a cash back credit card, you could fill out a paper application and mail it in. Be prepared to share some personal information about yourself, including your household income, your Social Security number and the amount of money that you’ve socked away in your bank accounts. Once you’re approved for a credit card, your credit card issuer will stick it in the mail. Within seven to 10 business days (or less than that in some cases), your new credit card should arrive. You’ll need to activate your account as soon as possible and take a look at your credit card’s terms and conditions. If a credit card issuer refuses to issue you a cash back credit card, you might want to find out why. Is your credit score too low? Is your debt-to-income ratio (the amount of debt payments you make each month compared to your monthly gross income) too high? Have you applied for too many credit cards in recent months? Or is there a derogatory mark on your credit report that’s making you seem like a risky borrower? Knowing what you need to work on can help you fix your mistakes and prepare to apply for another credit card in the near future. Should You Apply for More Than One Cash Back Card? Some credit cardholders have multiple accounts open at one time. But whether you should apply for another cash back credit card depends on your lifestyle and your financial habits. If you can barely remember to pay off the one credit card you have, you probably don’t need a second one. Furthermore, if you can only pay for one annual fee, you may want to stick with just one cash back credit card. Annual fees can cost consumers hundreds of dollars. You wouldn’t want to be stuck paying a high fee you can’t afford. On the other hand, if you’re good at keeping up with deadlines, you’re willing to pay an annual fee (or you can qualify for a card without an annual fee) and you rarely pay credit card interest, having more than one cash back credit card could be helpful. If you spend a lot of money on restaurant meals and gasoline, you could find two different cash back rewards cards that offer high rewards rates for both of those types of expenses. But if you decide to apply for two (or more) rewards cards, it’s best to protect your credit score by spacing out your applications. Some folks take up credit card churning as a hobby. Credit card churning is the act of applying for a rewards credit card, earning a sign-up bonus, closing the account and going through the same process repeatedly. Churning cash back credit cards could be one strategy that you can implement if you’re trying to earn as many cash rewards as possible. But it could wreak havoc on your credit score, especially if your score isn’t that high to begin with. Closing a credit card could be even worse for your credit score than opening a new account since it could cause your credit utilization ratio to rise above 30%. Unless you have a long credit history and a sky-high credit score, you probably should stick to applying for one cash back credit card at a time and waiting a while before filling out another application. To earn cash back rewards, you’ll have to use your card often. Making it your go-to card could be a good idea. That way, if your credit card company rewards you for making everyday purchases, you can rack up rewards regardless of whether you’re spending money at the mall, the airport or the movies. But you’ll need to be careful. Going over your credit line could cost you. And spending money just to earn rewards could hurt you if you find yourself with debt that you can’t get rid of. Of course, the key to making the most of your cash back credit card is making good financial decisions. If you always pay your credit card bill on time and you pay off the entire bill every month, you’ll never spend any money on interest. Cash back rewards typically don’t have an expiration date. But you’ll need to read your card’s fine print to find out whether that’s true for the card you selected. If your cash rewards will disappear after a certain period of time, it’s best to use them before you lose them. Keeping track of your cash rewards and setting goals are two other ways to maximize your cash back credit card rewards. 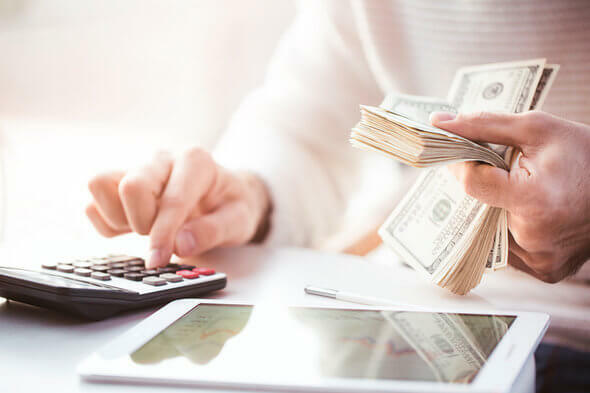 Knowing how much you’ve earned and deciding that you want to save up for a gift or earn money to put toward your mortgage payments could motivate you to make earning rewards one of your top priorities. Protecting your credit card and your account are important, too. If your account number ends up in the wrong hands, a thief could max out your card. If you wait too long to report the incident to your credit card issuer, you could be forced to pay over-limit fees. That could make the rewards you’re earning less valuable. Plus, in order to keep the rewards you’ve earned, you’ll have to maintain a good track record with your credit card company. If your goal is to earn as much cash back as you can, you’ll need to read over your cardholder agreement carefully. That’s the only way to fully understand how to earn cash rewards and maximize them. If you can earn rewards by paying bills with your credit card, that’s one way to get extra cash back or statement credits every month. Cash back cards with sign-up bonuses give extra cash (or higher rewards rates) when you meet a minimum spending requirement within a set period of time. With a card like that, you could earn hundreds of dollars in cash rewards or credits within months of opening your account. Some cash back cards can be used when making purchases through online bonus malls. Not every credit card company has one. But if yours does, you can earn extra rewards by purchasing merchandise through the online shopping portal. Savvy online shoppers can find ways to claim additional rewards by making purchases through sites that offer cash back. 1. Do cash back credit cards always offer cash rewards? Some credit card companies don’t allow their customers to redeem their cash back rewards for cash. Instead, you may receive a statement credit that you can use to pay off the balances within your credit card account. Or you may be able to earn points that you can trade in for merchandise, gift cards and other items. If your cash back credit card offers cash rewards, you’ll get a check in the mail or have your rewards deposited directly into your bank account. 2. Is it better to earn cash rewards, points or statement credits? The answer to that question will vary based on how you plan to use your cash rewards. If you want to redeem your rewards for any kind of expense, you’ll probably want a credit card that mails a check or wires rewards to bank accounts. But if you’re serious about eliminating your credit card debt, you may want to opt for a statement credit. If you want to easily redeem your cash back (as points) through specific rewards programs, you may have better luck with that than trying to withdraw cash from your checking account and using that money to pay for flights and other travel expenses. 3. Can I donate my cash back credit card rewards to charity? It depends. Some rewards programs let cardholders donate their cash rewards to qualifying charitable organizations. Your contribution may be deductible. That’s one way to score an extra write-off before tax season arrives. 4. How can I evaluate cash back credit card offers? If you’re trying to pick a cash back credit card, you’ll need to think about your financial situation and your spending habits. The best cash back cards have low annual fees (or no annual fee), high rewards rates and an opportunity to earn an unlimited amount of rewards. Just make sure that the earn rate is high for the spending categories that you care most about. You’ll also need to pay attention to the rewards structure and the way that cash back rewards can be redeemed. A cash back credit card with rotating bonus categories may not appeal to you if you’re looking for an easy way to earn cash back. But a cash back card with a flat rate that applies to all purchases may not have a high cash back percentage. Cash back cards tend to have higher interest rates than regular credit cards. If you think you’ll eventually carry a balance, you’ll need to look at cash back credit card APRs to make sure you can afford the interest payments. 5. What’s the typical rewards rate for cash back credit cards? Most cash back credit cards let cardholders earn between 1% and 2% cash back. The best cash back credit cards have higher earn rates for at least one or two spending categories. 6. Do cash back credit cards come with sign-up bonuses? There are some cash back credit cards that offer a sign-up bonus. If you can qualify for one of these cards, you’ll earn cash back at a faster rate. Just remember that you’ll need to meet some sort of requirement in order to earn the bonus cash back (or the bonus rewards rate). You may have 90 days to spend a certain amount of money and claim your prize. Or you may have to wait an entire year before you can get any additional rewards. 7. Do I have to shop at specific stores in order to earn cash back rewards? You’ll need to read your credit card’s terms and conditions to find out the answer to that question. If a cash back credit card offers cash back on everyday purchases regardless of where you shop, you shouldn’t have to worry too much about spending money at a specific store. But if you can only earn cash back when you stop by the grocery store or the mall, you might want to double-check and find out whether you can only earn rewards when you purchase items from certain places. 8. Do I need to pay my credit card bill in full every month to earn rewards? Generally, you should be able to earn rewards as long as you make the minimum credit card payment on time every month and there aren’t any issues with your account. While you don’t have to pay off your entire credit card balance, doing so is a good idea. You’ll maximize your cash back credit card rewards when you can ensure that the benefits you’re earning outweigh the cost of fees and interest payments. 9. How soon can I cash in on my cash back credit card rewards? Some credit card issuers make you wait until you’ve gone through a billing cycle or two before you’re allowed to redeem the rewards you’ve earned. That way, a card issuer can ensure your account is in good standing. Many credit card companies won’t let you cash in until you spend a certain amount of money. Others only provide cash back once per year or after a certain number of months. If your cardholder agreement doesn’t say much about redeeming your cash back rewards, you may want to make a phone call or check the company’s website. 10. Do cash back rewards ever expire? Many cash back rewards don’t expire as long as an account remains open and a cardholder maintains a good track record with his or her card issuer. But some cash back rewards expire at some point. If your rewards come with an expiration date, you’ll need to make sure you use all of them while you still can. If you decide to close your credit card account, you may have to forfeit any rewards that you failed to redeem. Cash back credit cards make it easy to earn rewards on a daily basis that you can redeem for statement credits, cash rewards, gift cards and merchandise. Most cash back rewards are only worth 1 or 2 cents for every dollar you spend. If you want your rewards to add up quickly, you’ll need to find a card with a sign-up bonus or a rewards rate that’s higher than average. SmartAsset’s interactive map highlights the places that are best for rewards shopping. Zoom between states and the national map to see where people can get the most rewards out of their shopping. Methodology Our study aims to find the cities that are best for rewards shopping. To find these places we looked at five key factors: total stores, store concentration, property crime rate, sales tax rate and credit score. First, we added up the total number of stores in each city that fit into the following categories: Clothing/Jewelry, Luggage, Furniture, Electronics & Appliance, Hardware & Construction, Food, Small Gift Stores and Miscellaneous. Next, we calculated the store concentration by determining the number of those store types per square mile. Then we looked at the average credit score for people by state. We also calculated the sales tax rate for each area by taking an average of state and local tax rates. Finally, we wanted a metric to show how safe it is to shop in the area so we looked at the property crime rate per 100,000 people. To calculate the Best Cities for Rewards Shopping Index, we ranked the cities on each of the categories and then indexed each category. We then calculated a weighted average of the indices (with greater weighting given to sales tax rate and property crime rate) to yield an overall Best Cities for Rewards Shopping Index. A city that is suitable for rewards shopping means people there have low sales tax rates, low property crime rates, high store concentration, high number of stores and high credit scores.